Those of you living on the mainland might have better luck finding good, inexpensive gluten-free crackers, but out here in Hawaii they cost something ridiculous… like $6 to $8 for a small box. At that price, I’m going to have to have one major craving to justify the purchase. And since I hadn’t found a good cracker recipe that replicated the buttery goodness of a Ritz or Townhouse, that means most of the time I’m eating cheese all by its lonesome and soup without any accompaniment. But let’s face it… nobody wants to live a life without crackers. 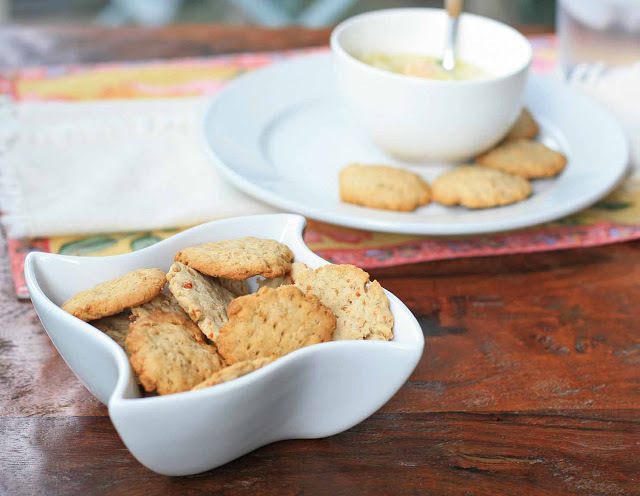 I’ll admit that I didn’t have much hope for my gluten-free adaptation for Beatrice Ojakangas’s oatmeal cracker recipe. 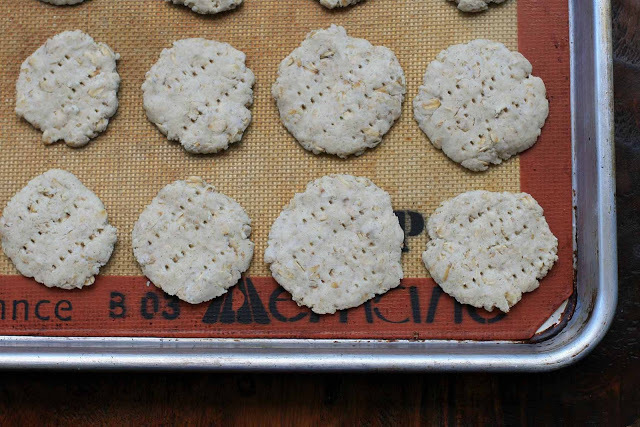 Specifically, I wasn’t sure how uncooked oats would affect the texture and whether the dough would stick together like one that container gluten. I did run into some issues rolling out the dough as directed in the initial recipe, but changing to a roll the dough into a ball and smoosh with your hands technique was a simple solution. Preheat oven to 400 degrees and lightly grease a baking sheet or line with a Silpat mat. Place the oatmeal in a large bowl and pour the milk over it. Let sit for 5-10 minutes. Add the remaining ingredients and stir to mix. 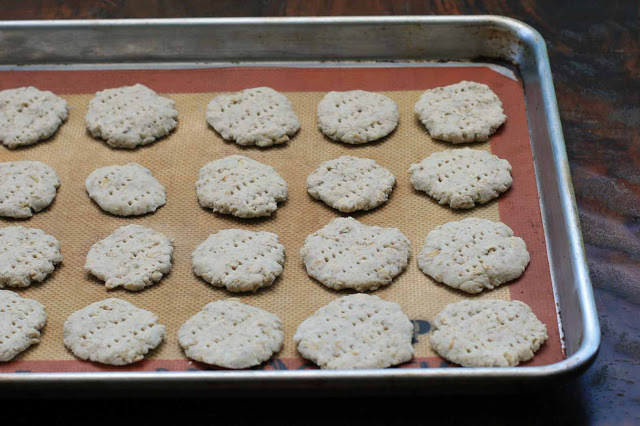 Roll small pieces of dough in your hands and then press the dough into flat disks and place on prepared baking sheet. Prick the surface of the dough with a fork. Bake for about 15 minutes, or until the edges of the crackers are turning golden brown. Best when eaten the same day.